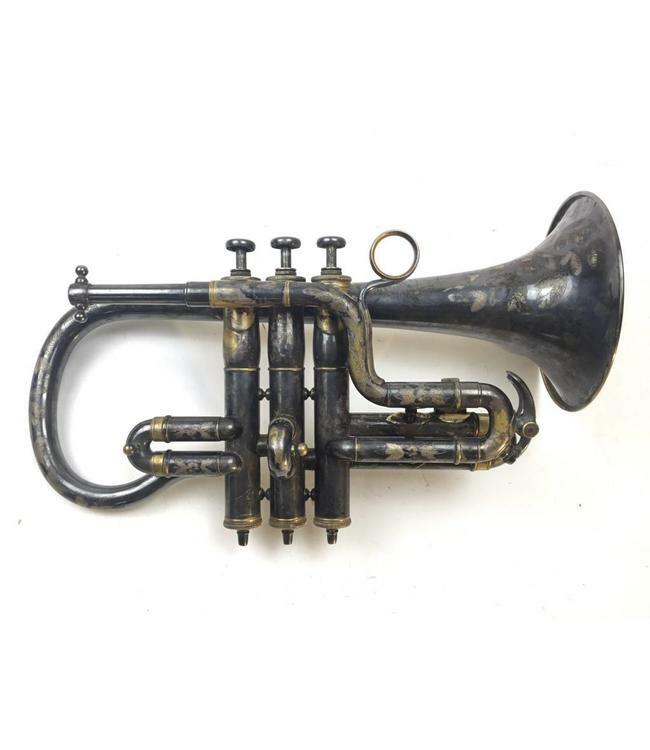 Used M. Slater Eb cornet in silver plate. Instrument has a 5" bell flair and 3 pistons of .454" bore. Bell engraving goes all the way back around the back turn of the bell and accepts period mouthpiece. Instrument is in good condition for age with surface scratching, minor dings and silver wear at contact points. Includes case.